Looking for Your Own Island Fortress? This One's for Sale. Not to state the obvious, but you have to find a healthy way to escape from the never-ending news cycle and general chaos churning in the world these days. Maybe it's meditation, or yoga, or periodic day-long Netflix binges. 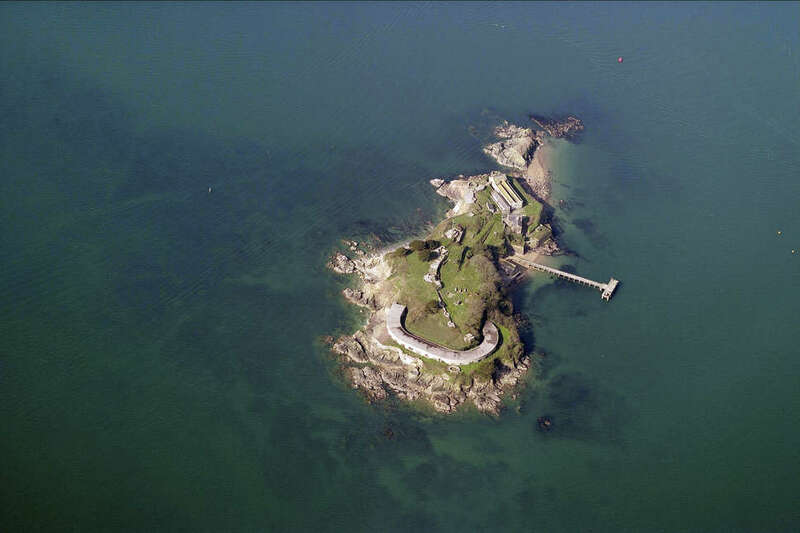 Or maybe, the secret is to decamp to your very own private 16th Century island fortress, in which case you'll be pleased to learn that one off the coast of England just hit the market, and it could be yours if you play your cards right. 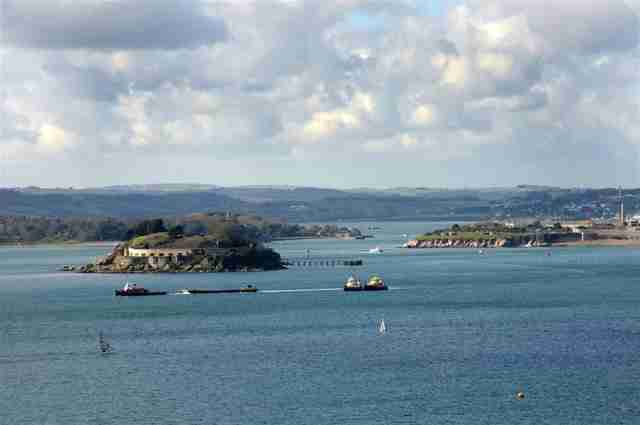 Drake's Island, so named for Sir Francis Drake, the English explorer and unfortunately not the Canadian rapper, is an idyllic and private six-acre plot of land just off the coast of Plymouth in Southwest England, and it comes packed with a whole bunch of history. It was where the aforementioned Drake kicked off his quest to circumnavigate the globe in 1577, served as a critical fort to protect Plymouth from French and Spanish invaders, and has intermittently functioned as everything from a prison and religious center to a refuge and adventure training facility. And now, you could claim the whole shebang including the on-site barracks, pier, and sprawling network of underground tunnels as your own for a cool $7.9 million. The island has been in private hands since the 1990s, and has become a bit of an overgrown complex of odd buildings and pathways, though its current owners have some grand ideas for what it could become. Specifically, there's been talk of it being transformed into some sort of luxury resort and spa. In fact, the required permissions have already been granted to turn it into a hotel. Though as long as you can fork over the necessary cash, you can presumably do whatever you like with the land and its existing infrastructure. Obviously, most people don't have eight million bucks laying around to drop on some fanciful private island project, but if you can wrangle together 25 of your closest friends, each person would only need to pony up around $300,000 in order to make an offer (we can dream, right?!). And then, you'd all have a perfect spot to flee the trappings of the real world whenever it all becomes too much. Until then, there are still plenty of other peaceful places to decamp to amidst the craziness.